Did you know? Star Bharat your favourite channel which is available on your DD Freedish DTH, now reached at top position in Hindi General Entertainment channels as per BARC data (in week 52). Star Bharat get weekly Impressions 692154000. Although this first position taken from Zee Anmol, now Zee Anmol available at 2nd position in BARC list. Zee Anmol gets weekly Impressions 682234000. If we talk about top 5 programs according to BARC data of week 52, than Zee TV is taken no.1 and no.2 position for following programs Kundali Bhagya and Kumkum Bhagya. Star Bharat also available in this list in third position for its popular program "Kya Haal Mr. Panchal" with weekly Impressions 10093000. 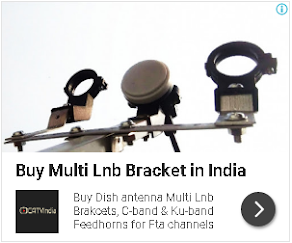 Star Bharat channel already available in DD Free dish platform at channel no.048. Star Network India rebranded LifeOK (earlier "Star One") channel as Star Bharat and added it to free-to-air channels list. Star Bharat re-launched with fresh content where other Hindi Entertainment channels on DD Freedish showing old programs from parent / other channels. If you are not getting STAR Bharat on DD Freedish set-top box then you can tune your set-top box to this frequency.